Manufactured in Allemagne from Circa 1930 until prior to 1933. Although wearing the "Photo-Plait" plate on the side, this Merkel is not the one presented in the 1933 catalog. There is a difference in the general shape and also in the format. 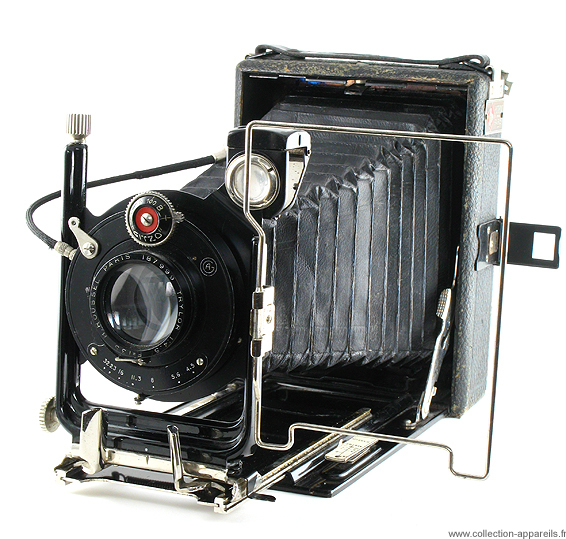 Mine is a 9 x 12 cm, equipped with a Gitzo shutter and a French lens Roussel Trylor 4.5 / 135 mm. At the time, it was usual to find this kind of substitution of the original lens by a French lens.